Our Life Down Unda: a keepsake. I was looking through my wallet the other day and came across this…. 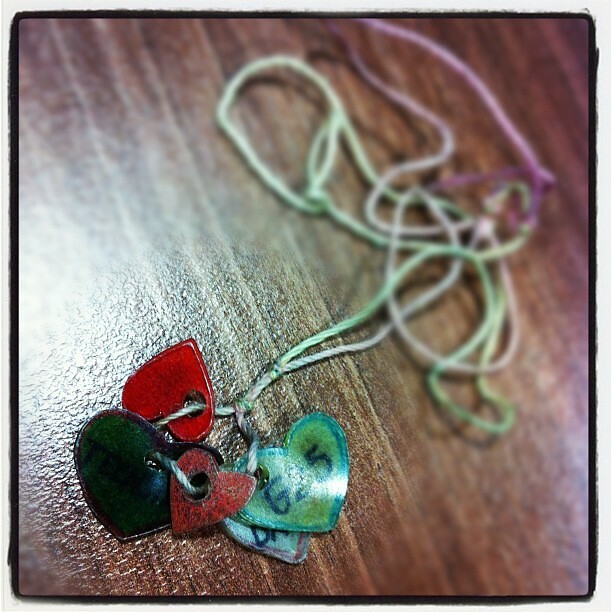 It is a necklace I made and wore for months a few years ago while working as a camp counselor at a summer camp. I keep it in this little pocket of my wallet and every now and then I pull it out as a reminder of that summer, living in a cabin G25 with 23 teenaged girls on the lake. The years leading up to my decision to move to the other side of the world were probably some of the hardest years of my life to date. I was feeling lost and confused and hurt and in need of pushing myself out of my little bubble and experiencing something totally different with people I had never met before. I loved my life, my family, my friends- but I was struggling and just couldn’t seem to pick myself up. A year before I moved to Australia (of course I did not know I was going to be moving at the time) I applied for a job as a camp counsellor in the middle of nowhere, Pennsylvania. I had no idea where I was going or who I would meet, but I needed to get out and do something different. I arrived at camp not knowing a single person and left with some amazing friendships. I met people from all different walks of life, who lived in different countries and grew up outside of the southern US and SEC football. I let myself do silly things, like fall for a boy with a girlfriend and sneak out at night. I often joked that it was like I was 15 again. I read books and did arts and crafts. I had long conversations at the lake about things I had never thought about before and got in to water balloon fights in the rain. I stopped worrying about how I was supposed to be acting and just let myself do and feel. It was freeing and exactly what I needed to get over whatever it was that had been holding me down. That summer was probably one of the best things to ever happen to me. It is the reason I am here, married, happy and living in Australia today. Although it only lasted a few months, I think I kept this old, battered necklace as a reminder of the summer that paved the road to where I am now. Like a song or specific smell can bring you right back to a certain place and time, this string and plastic does that for me. Maybe one day I will have a daughter who is struggling with life and isn’t sure where to go next. I will open my wallet, pull out this keepsake and tell her the stories of that summer, the people I met and the silly things I did.